Paris Fashion Week and Céline is the epitome when it comes to contemporary fashion. Clean lines walked with animal prints and 3D fixtures for Autumn Winter 2015. The short fringe, the white trainers, the flowing full-cut trousers, the ribbed knit dresses and the so-uncool-it’s-cool bum bag (worn on the shoulder, obviously). There were asymmetrical leather skirts too, lantern-sleeved shirts printed with cats, coats with detachable sleeves and enormous fur bobbles attached to leather straps that were worn on the shoulder. Original and achingly cool, where Phoebe goes, fashion will follow. 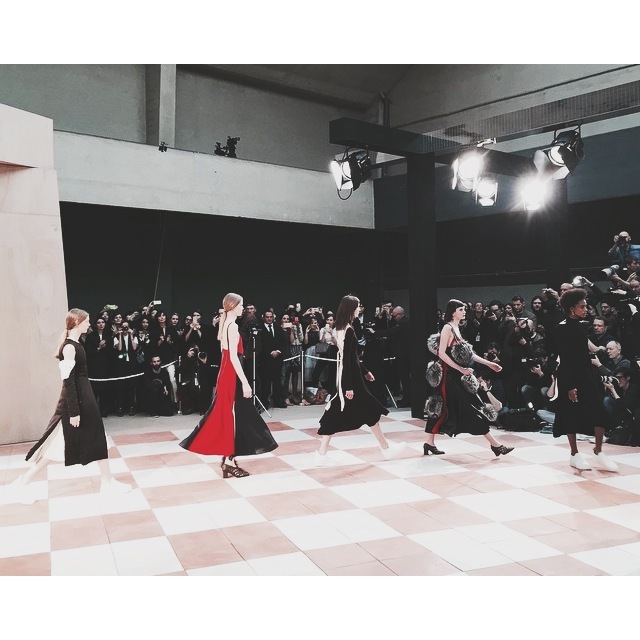 This entry was posted in Trend Reports and tagged AW15, celine, edit, paris fashion week, pfw, phoebe philo. Bookmark the permalink.